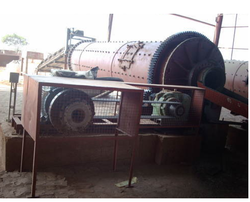 Ball Mill offered by us is used for grinding various products into fine particular sizes. This can be utilized for both wet grinding as well as dry grinding applications across the industry. Our organization is one of the trusted suppliers of industrial Ball Mills.T hese products are used for dry and wet grinding of colors and paints. These are offered with additional gears & pinions for smooth running and power saving. Applications: Pharma, Food, Ink, Construction, Chemical, Resin, Cosmetic Industries. Size Reduction Ball MillBacked by a team of experienced and qualified team members, we have been able to to bring forth qualitative range of Size Reduction Ball Mill. These products are tested as per the international standards of quality by our team of skilled quality experts. Customers can avail these bends from us at competitive prices in accordance with their demands. 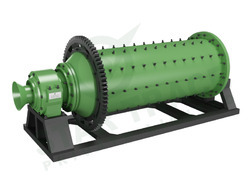 We are a foremost firm, involved in offering a wide series of Industrial Ball Mill Machine. Besides, our patrons can avail this product from us at market rates. - Competent grinder used for crushing sorts of materials. To net propelling requirements of the market, we are offering a qualitative assortment of Dry Grinding Shrounder Ball Mill. The offered products are used for dry grinding of colours and paints in a number of industries. This unique range is highly demanded for its enhanced service life and other such features, across the globe.